The United Nations has designated 2017 as the International Year of Sustainable Tourism for Development. An economic sector that represents almost 10% of world GDP and is constantly growing! 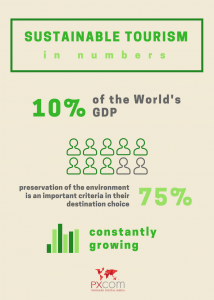 During the 2016 edition of WTM (World Travel Market), the organisers published a study which showed that, for 75% of the travelers surveyed, preservation of the environment was an essential element in their choice of destination. 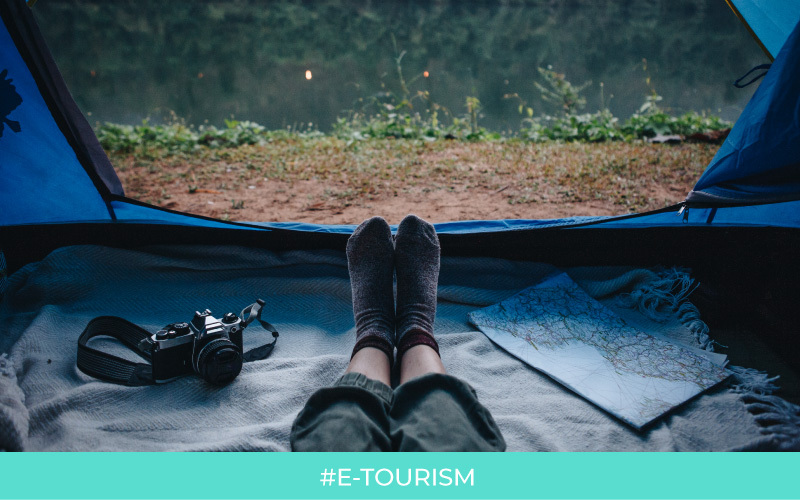 And 60% considered that it is the responsibility of the tourism industry to have strong social commitment in this area. On the occasion of the opening ceremony to be held on 18th January in Madrid, and to promote all the players engaged in sustainable tourism, PXCom decided to launch two innovations for 2017, leveraging its audience of over 41 million passengers. “On our interactive tourist guides, that can be found on the inflight entertainment systems of our partner airlines, we are going to promote tourist offices and structures that engage in sustainable tourism and make passengers, who will be finalising the details of their holiday during the flight, aware of the possibility of choosing eco-friendly activities, services and products“, noted Cyril JEAN CEO of PXCom. “This action has been relayed directly to the tourist offices of the 248 destinations that we operate, thanks to our supplier and partner, ArrivalGuides, the digital destination guides world-leader“. Through another dedicated area, the one where the airline presents itself, PXCom has suggested to the companies that they educate their passengers on the various aspects of their social commitment: use of biofuels, actions for NGOs, social engagement… “We have created a fun space for companies with complete interaction“, said Cyril JEAN. Quizzes, games with social purpose… all solutions which are intended to enrich what the airline traditionally presents! “And in both cases passenger awareness can continue after the flight, thanks to the possibility of downloading a PDF during the flight or sending an email once they have arrived at their destination“, concluded Cyril JEAN.